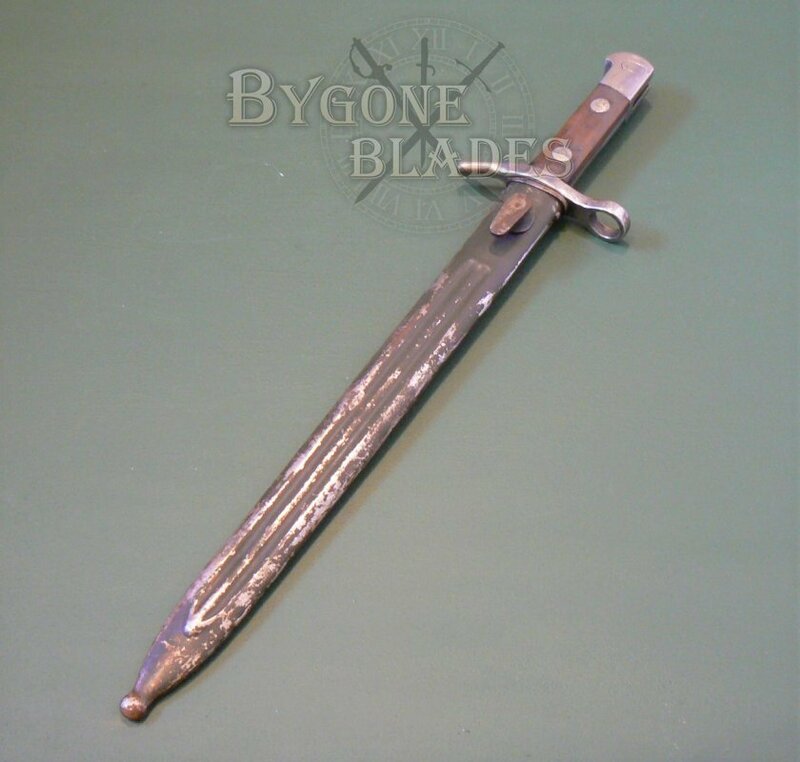 Finnish M28 Civil Guard Bayonet. 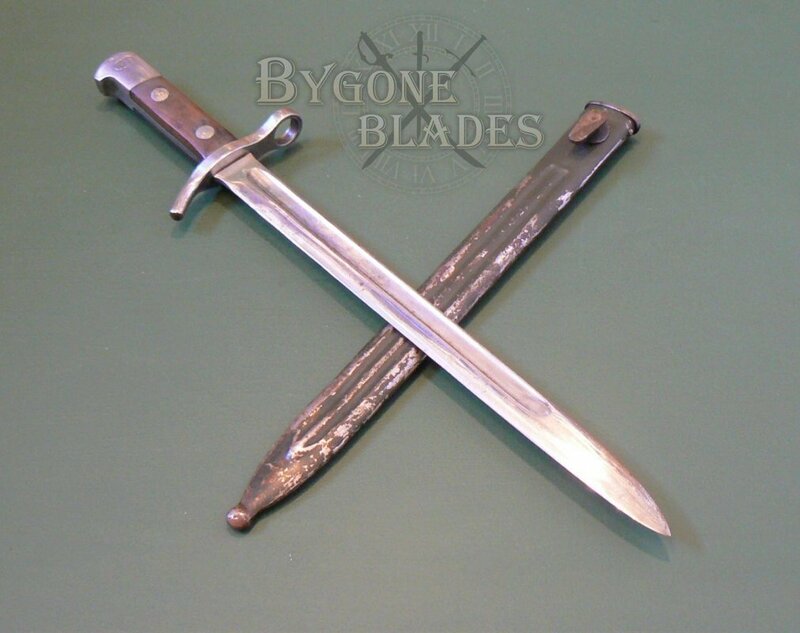 Hackman & Co.
Shop » Bayonets And Knives » Finnish M28 Civil Guard Bayonet. Hackman & Co. 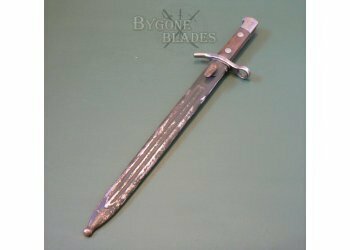 Very rare Finnish M28 Civil Guard Bayonet by Hackman & Co. 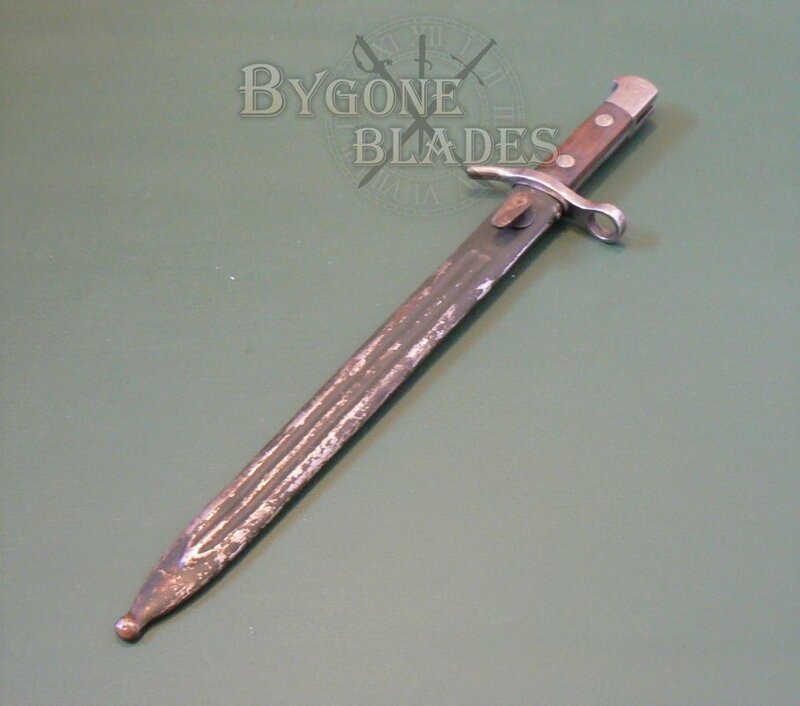 The model 1928 bayonet (M28) for the Finnish Civil Guard is essentially the same shape and style as the M27 army bayonet. 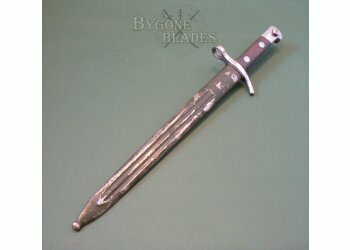 The Civil Guard M28 bayonet is polished. 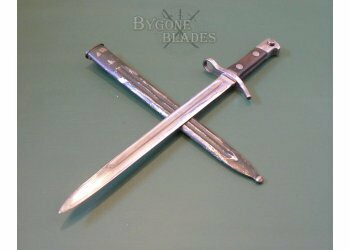 The army bayonet is blued. 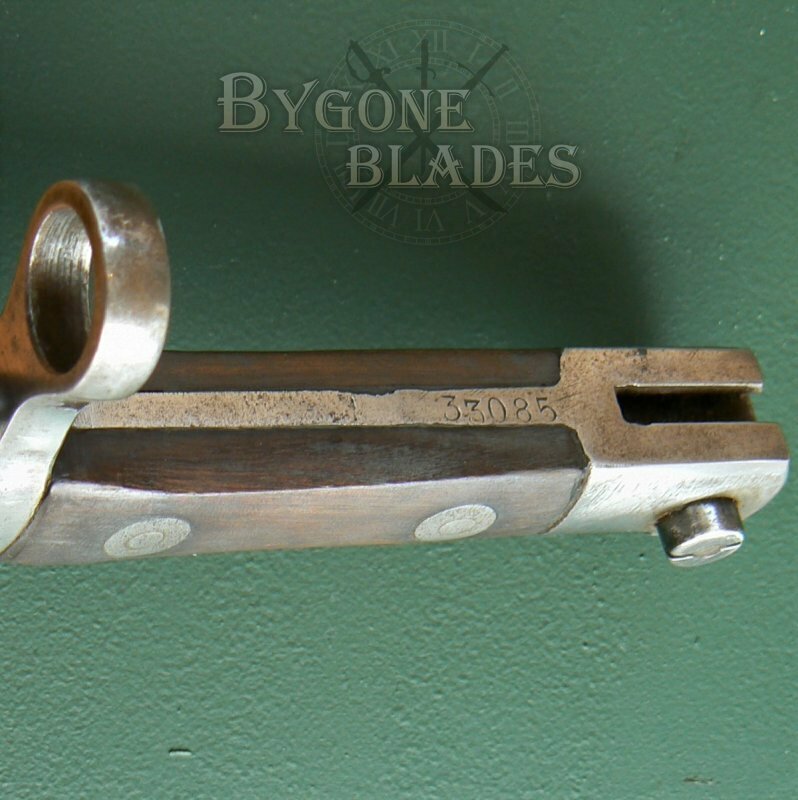 The M28’s wooden grip scales are held in place by polished rivets, flush to the wood. The army M27 has raised domed rivets. 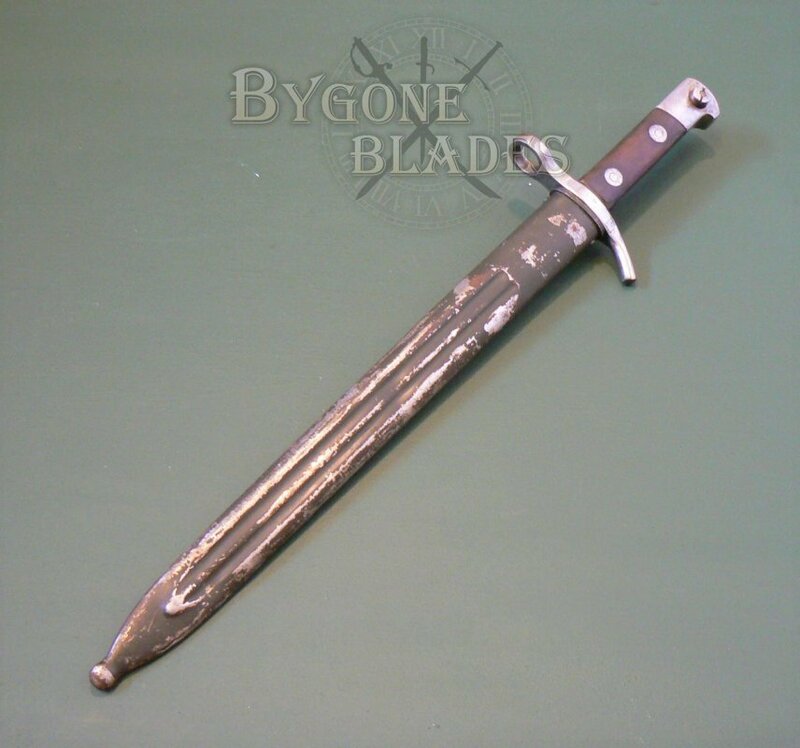 The scabbard of the Civil Guard bayonet is painted dark green. 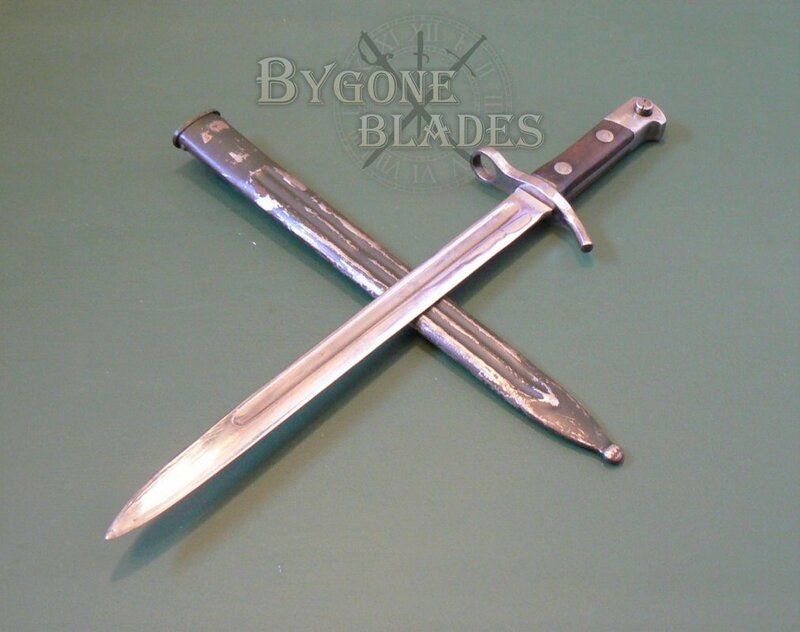 The army scabbard has the standard blued finish. Hackman & Co. were the only maker of the M28 bayonet for the Civil Guard’s M28 rifle. 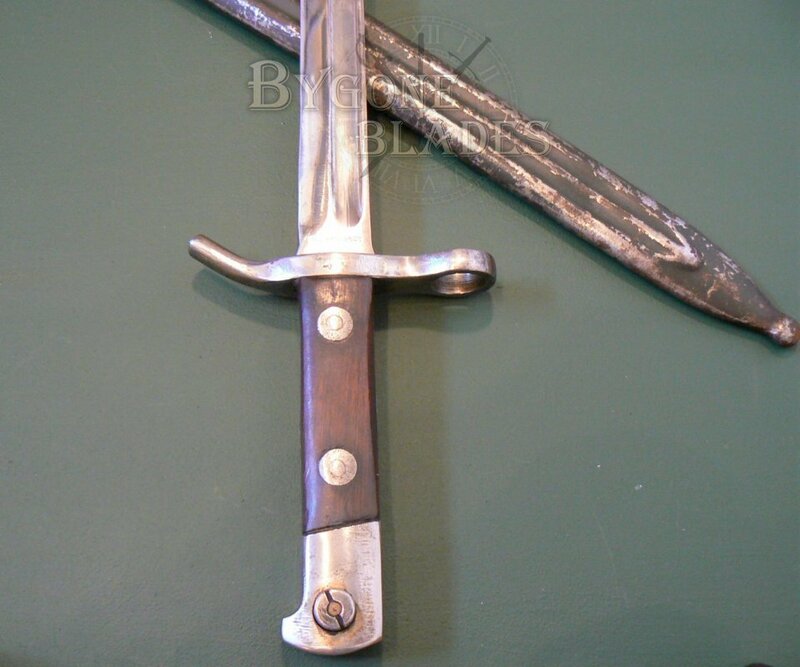 The Civil Guard inspectors mark, “KE” is stamped on the cross guard of this bayonet, these are the initials of Kosti Eakola who was the chief inspector of the SAKO factory until 1933. Most if not all M28 bayonets will bear this inspectors proof. Each M28 bayonet was paired with a rifle. 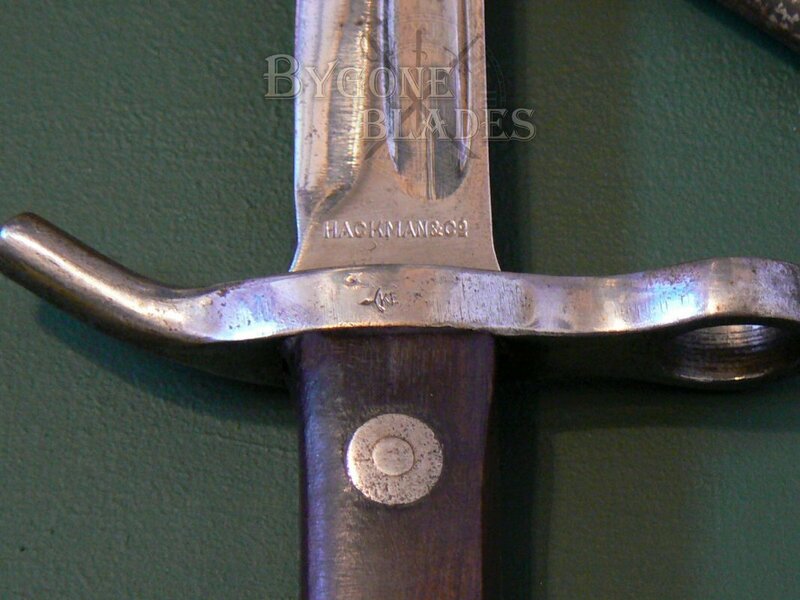 The rifle’s serial number “33085” is stamped on the spine of the hilt between the grip scales. 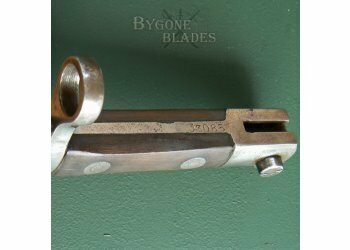 The fluted steel scabbard is in great condition with marks and dings consistent with its age and service. 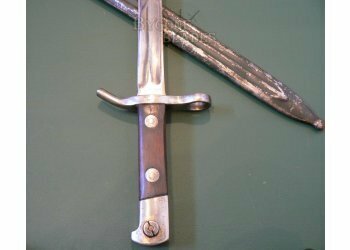 The scabbard retains most of its original dark green paint. The wooden grip scales are in excellent condition with minor use marks and the press-stud locking mechanism works perfectly. 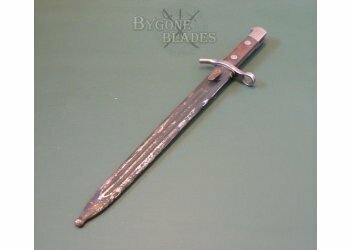 This is an excellent example of a very rare Finnish Civil Guard M28 bayonet. 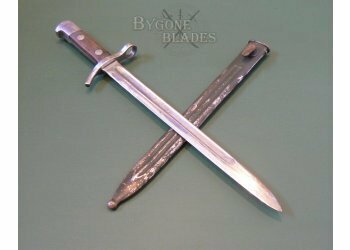 A “must have” bayonet for many serious collectors.